How (and Why) to Ask Administrators for PD Funding - Dave Stuart Jr.
Every year, the US spends billions of dollars on teacher professional development. That’s a lot of money. 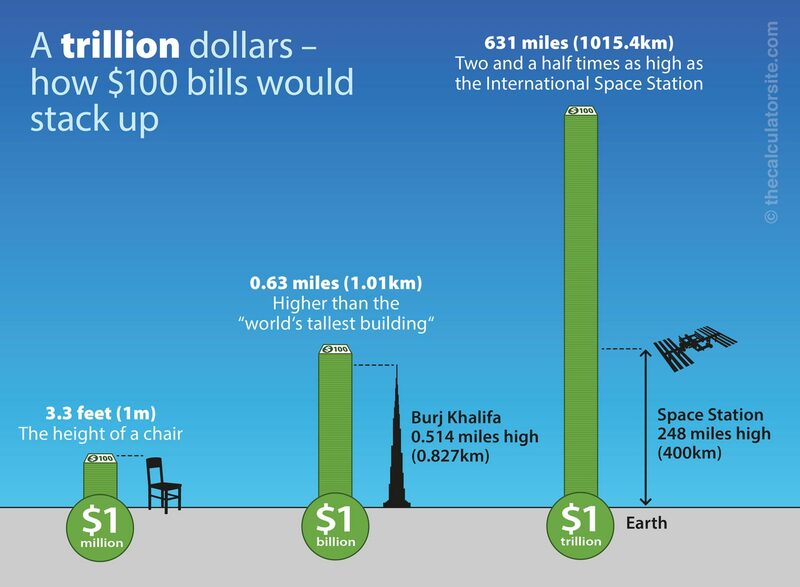 If you stacked up $100 bills one on top of the other, a billion-dollar stack would be taller than the Burj Khalifa — the world’s tallest building. It’s that last piece I want to help you with today. If you’re a teacher, I want to show you how to begin advocating for the professional development you need with the dollars your school has. In today’s post, I will help you advocate for the professional development that you need. Often times we don’t ask for the professional development we need because we’ve got some bogeymen in our faces. Let’s take care of those bogeymen. We’re overwhelmed. We don’t have the chance of stepping back and thinking deeply long enough to really ask ourselves what we want and need most. For so many of us, it’s a nap. There is another name for this magical experience: Survival Mode. Survival Mode is antithetical to Flourishing Mode. If we want to flourish, we have to at some point carve out 20 or 40 or 60 minutes from the whirlwind and ask ourselves, “What would really help?” This’ll cost you an hour today and save you the next 180+ days on the job. So look: these fears are often just in our heads. We’ve got to give our administrators the same grace we give ourselves. Do we assume of ourselves that we’re just bent on telling everyone in our lives no? No. Many principals I’ve met are dying to have the “problem” of a teacher walking into their office and saying, “Hey, let me tell you how you can help me be awesome at my job.” If yours isn’t like that, it’s likely that inside of them there is that person who wants to be the kind of principal the delights in teachers owning their own development, but toxic stress has locked that person up behind a wall. No matter where your principal is in their professional journey, seek to love them — in part by advocating respectfully for what you need. We feel guilty. We don’t want to ask for any extra favors that other teachers might not be getting. Or we don’t want to take money away from the kids. There can be a gender dynamic, too. Obviously I am not a woman, but female colleagues near and far have shared with me that they feel less likely to ask for professional development funding than a male colleague might. This isn’t just anecdotal, either — for example, in this survey of over 2,000 men and women, there was a 16-point difference between women and men negotiating a pay raise. If you are a female who struggles with this, put the kids front and center. Your school needs you to do the best work that you can, and if you’ve identified a professional development opportunity that can expand your capabilities, it is 100% a worthy investment consideration for your school. At the end of the day, it comes down to this: we’re professionals, not technicians. We’re like doctors and lawyers. Don’t tell me what society says — I don’t even know who “society” is. Ours is complex and professional and socially critical work. That means we need ongoing training to stay competent. All right — let’s move into action. First, find a professional development opportunity that sounds interesting and important to you. Or if you want to be scientific about it, diagnose your most urgent skill need. What is something you want to know more about that would most dramatically change the quality of your teaching and your life? Is it designing better writing mini-lessons? Managing a classroom of learners at all reading levels? Motivating your students to do hard things? Second, find an expert who is offering professional development about that skill. It can be a book, or a course, or a conference, or some other newfangled thing. But find something that could help you move the work forward quickly in real life. Third, find the facts. How much time? How much money? Will you need coverage for your classroom? Write them all in an easy-to-access document. Here’s one you can use! Then, craft your argument. What do you hope to learn through this professional development? Why do you believe that this person is an expert on this topic? Why is this information something you can’t access internally? How do you hope it will impact students in your classroom? Can you see this learning experience impacting other teachers and students for the better? Again, our form can help. Now, you’re ready to schedule a meeting with whoever can approve this kind of funding. This doesn’t have to be overly formal. Just text, email, or say in person, “Hi Ms. Principal. I found a professional development opportunity that I think could be hugely helpful for us. When can I come talk to you about it?” Follow up on whatever she says. Don’t be discouraged if she says she’s crazy busy and asks you to send her an email instead — that’s easier for you! Hi, Ms. Principal. Thank you so much for this time. I wanted to talk to you about a professional development opportunity called ______. I hope to learn _______. The presenter/author is ______. There’s no one on staff who’s an expert on this currently, and I think I could help our school by ________. It’s in this location ____ on these dates _____ online and it takes this much time ____ and it costs this much money _____. I’d like to sign up. What do you think? And then, whoever talks next loses. I’m kidding. Sort of. 🙂 I’ve found in myself that right after a big ask, there’s a temptation to back pedal, to soften: “Of course, I might be able to just get by….” or “It’s probably too much money…” DON’T DO THIS. Just state your case, ask if you can sign up, and wait. P.S. If you're interested in joining my all-online Student Motivation Course, Cohort 4 is open now, and it's the last opening we have planned. If you'd like more information, click here. Hi, Dave! Unfortunately, there are some districts that are simply less supportive of PD than others. Over the last four years, I’ve had to strongly advocate for myself and PD opportunities (often one day, free events) and am often turned down. Currently, I’m going on Week 2 of no response to a significant opportunity I’ve been offered regarding personal PD. It’s hard trying to decide when to send a follow-up email and how to craft such a reply. I’ve found over the last year that one of the biggest challenges for me as an educator is the absence of a response for my admin to my questions/requests and trying to learn how to navigate following-up with my superior (sometimes more than once…). I feel like having to follow up on an email sours the request, yet without doing so, the request gets ignored. What a challenge! What you’re describing is why I think an in-person request is, while harder to do, better and cleaner in the long run. That’s where I think I was wrong in my much older post on this topic, that recommended a written approach. It’s too easy to let emails slip. I think that’s the best assumption of your admin, that what’s happened is they’ve let your email get buried in their inbox. Oops, I hit “enter” to early. So my main idea there is to drop by their office, with a smile, and say “Hey, have you got a quick minute?” And then walk through the mini-script at the end of the post, and then see what they say. Remember: Getting the funding support isn’t the whole point of the exercise. Some of the point is proving to ourselves that we’re professionals who request things like this.